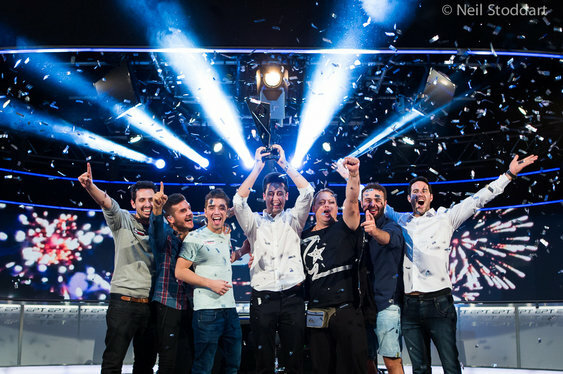 It's hard to believe but in the 11-year history of the European Poker Tour there had never been a Spanish winner. Until now. Adrian Mateos put that statistical anomaly to bed over the weekend after claiming the EPT Grand Final Main Event. Mateos is no stranger to tournament success with Estrellas Poker Tour and World Series of Poker Europe Main Event victories already featuring on a hugely impressive tournament CV. The 20-year-old added another €1,082,000 to his bankroll after topping a 564-runner field in the €10,000 buy-in event in Monte Carlo. The Spaniard started the final day fifth out of six with Johnny Lodden and Ole Schemion likely to prove the most serious challenge. Schemion, last year's EPT Player of the Year, departed in sixth when his short stacked move with A3 ran into Mateos' AK. Lodden's challenge stalled soon after, unlucky to depart when his AQ was overturned by eventual runner-up Muhyedine Fares' A9. Two top four finishes in the EPT Grand Final Main Event in the past three years is a fine effort from the Norwegian. Mateos faced a big chip deficit at the start of heads up play with Fares but an early double up after he flopped two pair with 7-4 gave him all the momentum. He rode that all the way to the title, eventually sealing the deal when his A8 prevailed against the Senegalese's A6. Image courtesy of Neil Stoddart @ PokerStars Blog.